Collaborate, Talk, Write, Draw, Narrate! I then gave each group a paper with categories on it that related to the unit we were close to finishing and told them that they had four minutes to come up with four words that fit in each category. Once the list was complete, I told them to choose (circling) three words from each category and to begin to orally create a story, with each person adding one sentence at a time. The “writer” person checked each word as it was used. I gave the groups about five minutes to do this part and then told them to narrate the story again, but this time the “writer” wrote as they narrated. Additionally, I told them that this written version of the story was NOT going to be turned in, so it could be very sloppy. At the end of five minutes, I gave markers/colored pencils to each group and I gave each person a blank sheet of paper. Each group had to divide the story into four parts with each person drawing/illustrating one part of the story with absolutely not one word written on the paper. I gave them about ten minutes for this part. Then, the group had to practice telling their story, with each person responsible for narrating the part of the story for which he had made the drawing or illustration. Finally, I collected the drawings and asked each group to discuss the chart below and watch “the police person” as he assessed their work. 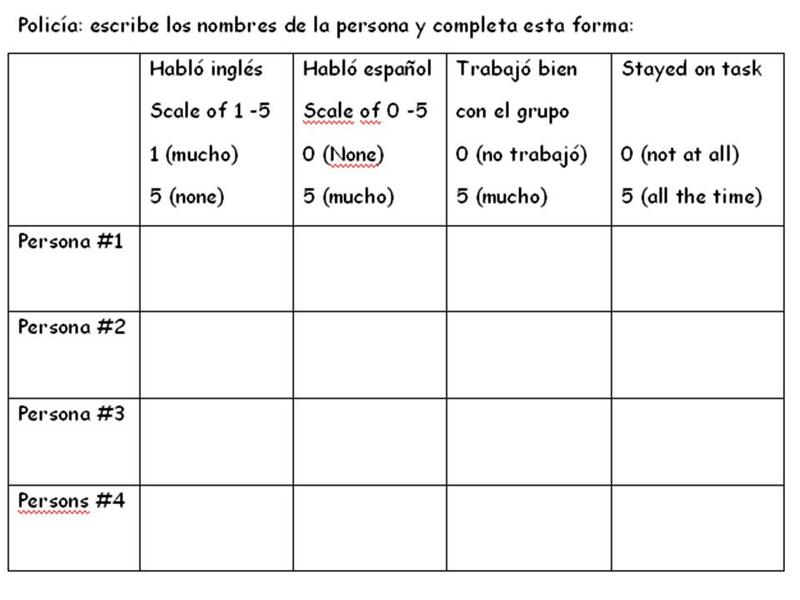 All members of the group had to agree with the assessment, and I have found through using forms like this many times, that most students assess very fairly and honestly. The next day in class, I gave the drawings back to the original group and had them narrate their story to another group. I then had the groups exchange drawings and they had to narrate the story based on the new drawings they had received. While this was a long activity, spanning two days, it was broken into small segments and did keep most students on target. I monitored the progress of each group constantly by moving from group to group during both days of work. In addition to the assessment that each group gave to themselves, I also gave an assessment based on my observations. Overall I was pleased with the lesson and will repeat it again this year. However, this year I may change the retelling of the story with pictures to a more formal assessment in front of the class. 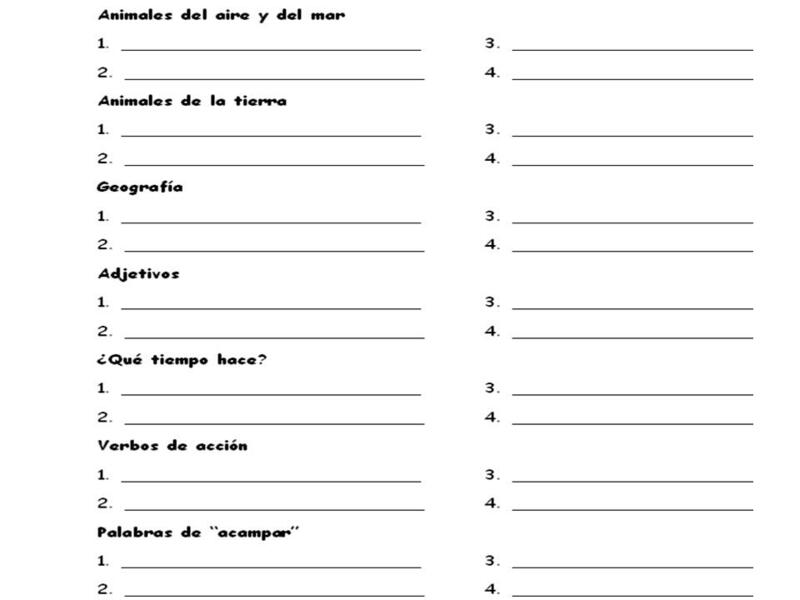 This entry was posted in collaboration, conversation, creativity, group work, informal assessment, preterite and imperfect, speaking assessments, writing assessments by sraslb. Bookmark the permalink.